Scott Richardson was born in Cincinnati, Ohio. He spent the majority of his youth in and around the Cincinnati metropolitan area. His family moved to Seminole County Florida in the mid 1970’s. Mr. Richardson attended Lake Brantley High School and graduated in 1978. While at Lake Brantley, Mr. Richardson lettered in varsity sports and participated in various extracurricular programs and obtained enough credits to graduate early. Mr. Richardson was accepted at the University of Florida and entered the University of Florida at Gainesville in the fall of 1978. He obtained his undergraduate degree in Political Science in 1982. While at the University of Florida, Mr. Richardson studied under renowned professors. Mr. Richardson attended numerous courses led by Rene' Lemarschand, professor emeritus at the University of Florida. Mr. Richardson also attended courses offered by Harry Crews, noted American novelist and playwright. The rare opportunity to be taught by these noted scholars gave Mr. Richardson the impetus to seek further education. Additionally, while at the University of Florida Mr. Richardson was a rider for the University of Florida NSSA Surf Team and was one of the founding members of that organization. He also played soccer for the University of Florida Club Team, which travelled and played games throughout the southeast. After obtaining his Bachelor of Science degree from the University of Florida, Mr. Richardson gained valuable work experience at the law firm of Akerman, Senterfitt and Eidson. Mr. Richardson worked at Akerman, Senterfitt to get a birds eye view of the practice of law. Mr. Richardson applied for, and was accepted at the University of Florida College of Law and started working toward his Juris Doctor degree in January of 1983. 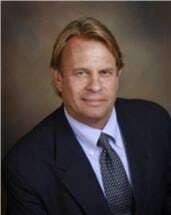 While at the University of Florida College of Law Mr. Richardson also worked for various law firms, including the Law Offices of C. Valentine Bates. While attending law school and working for the Law Offices, Mr. Richardson gained valuable practical experience which would serve him well later in his career. Scott Richardson's good fortune continued with the faculty at the Spessard Holland College of Law in Gainesville. He had the opportunity to study under Emeritus Professor's Don Peters, Walter Probert, Julian Juergensmeyer and others. In particular, Mr. Richardson had the opportunity to study under Walter O. Weyrauch, distinguished professor, author, and speaker. Weyrauch's teaching and scholarship focused on family law, business organization, comparative law, law in society, legal philosophy and autonomous informal law making, and he had been widely published in those areas. Before settling into the practice of law in the State of Florida, Mr. Richardson worked for the Law Firm of Pomerantz and Butler in Charlotte Amalie in the United States Virgin Islands on the island of St. Thomas. That firm specialized in complex civil litigation and real estate law. Mr. Richardson returned to the mainland United States and, ultimately, opened his own law practice in 1989 in downtown Orlando. He chose the historical Tinker Building on Pine Street in downtown Orlando as his first office. Since that time, Mr. Richardson has specialized in criminal defense law and family law matters. Currently, he is practicing at 126 E. Jefferson Street in Orlando. Mr. Richardson will tell you that he dearly loves the practice of law. He appreciates the ability to connect with people and get an insight into their lives and help them when necessary. You will find that Mr. Richardson, or a member of his firm, is available for your needs 24 hours a day, 7 days a week. He has penchant for returning every single call every day. We believe that most people have some sort of trouble during some time(s) of their lives – whether it be a criminal charge, a divorce, an injunction, or some sort of matter that needs the attention of an attorney; our philosophy that there is nothing about this to be ashamed of. When you speak with Mr. Richardson, everything is in complete confidence. If you have an issue that Mr. Richardson does not normally handle, he will get you to the right lawyer if need be. Everybody has problems and concerns that arise in their lives, whether they be criminal charges or family problems. But working together we can always resolve them and move on and make the best of the rest of our lives.